Five Star Bath Solutions of Edmonton delivers the highest quality materials and professional bathroom remodeling services, while respecting your time, space, AND budget. We provide five star quality bathroom renovations WITHOUT the five star price. Period. From bath accessories and enhancements to bathroom remodels, we deliver beautiful bathing space transformations to your home all while being Clean, On-Time & On-Budget - Guaranteed. We proudly serve Edmonton, Spruce Grove, Sherwood Park, St Albert, Saskatchewan, Leduc and all surrounding areas. For a limited time GET 10% OFF! when you schedule online for your free In-Home Consultation. Professional bath remodeling in Edmonton for new showers, tubs and more. We provide affordable Edmonton bathroom remodeling solutions and a detailed quote for your consideration in the comfort of your home. “Five Star Bath Solutions refinished our downstairs bathroom with an absolutely gorgeous shower and installed new vanity and toilet. The job was finished in a timely and completely professional manner. The job site was cleaned up and all garbage removed. Now our family has a brand new beautiful bathroom to enjoy. We would highly recommend Five Star for all your remodeling needs. Our free estimates for bathroom remodeling and renovations are easy and straightforward. If you’re in Edmonton, AB just ring the number for Bathroom Solutions and we’ll do the rest. Step One – Contact us on (780) 628-2027 and we will be happy to arrange a time for your free in-home, no obligation estimate. Now, thanks to the magic of the internet, you can also book your appointment online, so you don’t even have to let go of your mouse. Step Two – We meet with you in your home to discuss the new style, and look you want for your new bathroom. We will show you all the options available for the remodeling or renovations you have in mind, and carefully work out the costs so that you will have a clear understanding of how far your budget will stretch. This way you will know what to expect from the beginning to the end of your bathroom project. NO SURPRISES! Step Three – When you are ready, and all the products are in place, the installation of your new bathroom begins. We go ahead with the installation of your new pride and joy, a bathroom you can relax in, and enjoy. A bathroom you can show off to everybody you know. Contact us online today for your FREE estimate! Take advantage of our free, in-home consultations and estimates today. Call us at (780) 628-2027! Hire Bath Solutions of Edmonton, your neighborhood bathroom remodeling experts. We know how overwhelming undertaking a bathroom renovation project can be – if you do it yourself. That’s why we provide our expertise from quote to completion. The only thing you have to do is tell us your vision and we will do the rest. No matter where you live, Bath Solutions of Edmonton can create a bathroom oasis for you. Our winning formula includes thorough COMMUNICATION, CLEANLINESS, AND COMPLETE SATISFACTION! Give us a call for a quote and we can get the demo rolling. You don’t need a pushy salesman at your door… you need a renovation expert with knowledge and skills to help you make some tough choices. At Bath Solutions, we put the customer’s needs first. We don’t try to upsell you on products you don’t want or need. Our customer’s satisfaction is our number one priority. An estimator has a tools, knowledge, experience and pictures with him or her when they come to your home. We have over 9,000 products for you to choose from. Our estimator can help you narrow that down to your personal style and budget. We will not pressure your or make you commit to Bath Solutions during this free at-home estimate. Our experienced installers will work diligently to make sure your products and materials are installed correctly. Even the best products fall short if they are improperly installed. Bath Solutions only hires skilled craftsmen who follow factory installation recommendations to the letter. We want you to enjoy your new bathroom. Therefore, we do our best to ensure no hiccups. Contact us online today, for a Free estimate from our expert bathroom renovations specialists at Bath Solutions in Edmonton, AB. Take advantage of our free, free, in-home consultations and estimates today. Call us at (780) 628-2027! 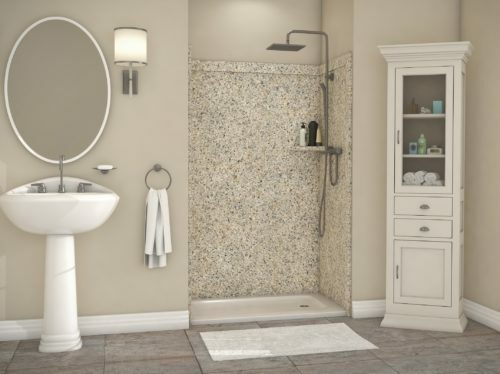 Whether you want your shower recess made larger to accommodate a disabled person or you want a new bathroom vanity; Bath Solutions of Edmonton, AB has the renovation specialists you need. Many of our referrals come from happy customers who have provided us with wonderful feedback. Our tradespeople ensure that their customers wishes are met and nothing is left to chance. Your bathroom is one of the most used rooms in your house. It’s no wonder you want it to be pleasant, appealing to the eye, and functional. Take a bath in comfort with a new hydrotherapy bath or enjoy a new shower recess that is larger, with easy access – that has easy to operate faucets. All these options and more are available to you. 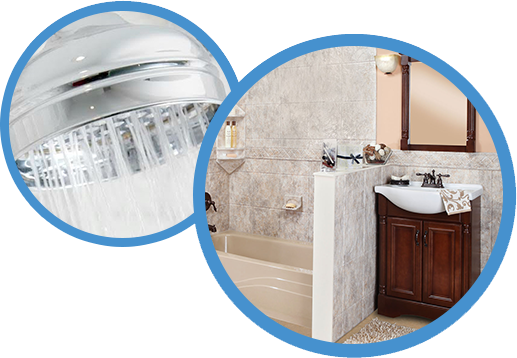 Bathroom Solutions of Edmonton will deliver the bathroom renovation of your dreams. To find out more about a beautiful, bathroom renovation, contact the friendly staff at Bathroom Solutions to get started. Call or contact us online today to discuss the best options for you with our expert Edmonton Bathroom Remodeling professionals. Bath Solutions of Edmonton provides a wide range of solutions to enhance, improve and meet your bathroom needs. Transform the Entire Bathroom: Are you ready for a complete change? Lets just start over from scratch and remake it into everything you desire! Change the Style of the Bathroom: Tired of that 80’s decor? Ready for some new style? You may be surprised just how easy that is with our expansive variety of hot new styles. Improved Functionality of the Bathroom: Life changes as we grow older, and a functional bathroom is essential to those in danger of slips or falls. We can also create showers with wheelchair access! All Sizes of Renovations: You don’t have to want a full renovation to make a major change in your washroom. Sometimes its the little things that matter the most. Custom Made Vanities: Do you have something special in mind? We offer custom made vanities to fit your unique space and style. Shower Door Replacement: The range of shower doors available to you is practically endless. Let us show you our favorites! Air Tubs, Whirlpool and Soakers: Sink into a cloud of heavenly bubbles. Our whirlpool and soaker tub designs are lovely and efficient…at washing away the cares of the day. 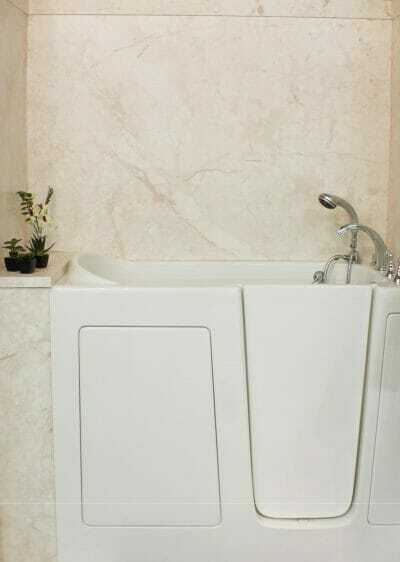 All Bathroom Fixtures: Beautiful, stylish sinks, toilets, tubs, vanities and fixtures of all kinds are available from Bath Solutions of Edmonton. 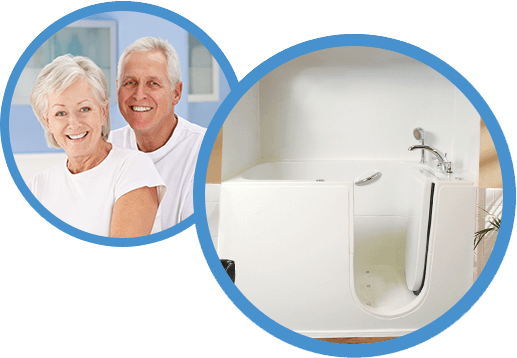 Elderly people are more likely to fall in the bathtub than other age groups, and installing a walk in tub can greatly reduce this risk. Independence – Comfort – Safety! All are key to anyone who suffers with limited mobility. Let Bath Solutions of Edmonton help you take the stress out of designing and installing a walk-in tub that fits within the existing design of your bathroom. Stress Levels Reduced: No one should be afraid of the bathtub or shower. A walk-in tub can bring great peace to you and your loved ones. Easy Access and Comfort: No more stretching and shaking to get that leg over the wall of the bath. Just…step right in. Hydrotherapy Option: Ease your aches and pains with a hydrotherapy system! This optional extra is available with three different settings and 13 high-performance jets to help comfort and relax you. Easy Repair Access: All hydrotherapy and pump components can be easily accessed due to the removable front skirt. The handles of the faucets are ‘arthritis friendly’ and the shower head can be hand held to aid in getting to all those hard to reach places. A Tub That Fits: Large bathroom renovations and wall removal is not always required as the tub fits into most existing openings. Door-Seal System Lifetime Guarantee: No leaks and no water damage that can require major repair costs. This door-seal system has a lifetime guarantee! Bath Solutions of Edmonton provide walk-in tubs with a patented two piece design which allows them to be easily transported through the rest of your home and into the bathroom. Walk-in bathtubs can fit into the openings left by most conventional bathtubs. An extension kit can be used to fill the gap left by a large existing tub, if necessary. Full bathroom renovations are NOT always necessary, as the design of the tub will fit in with the rest of the bathroom. 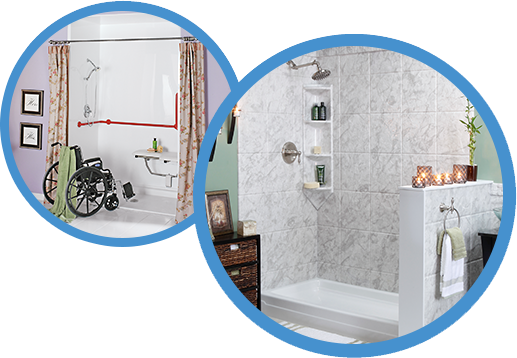 With our barrier-free bathtub to shower conversion systems we can help make your shower wheelchair or walker accessible. If it’s time to bring a shower update to your bathing space, Bath Solutions can help. 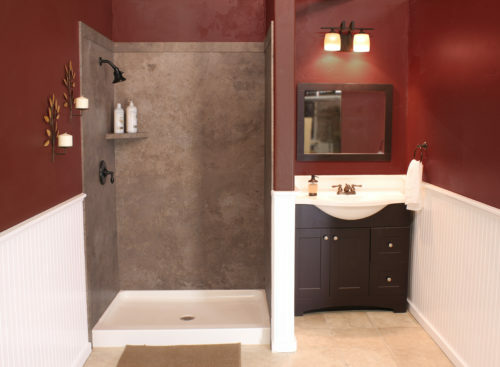 Bathtub to Shower Conversions: Turn that unused bathtub into a highly accessible shower space! Barrier-Free Showers: Picture bright, open wet rooms with spa-like fittings, multiple shower heads, colorfully tiled walk-in showers for two, or prefabricated units that can be dressed in a lovely shower curtain to match your decor. You’re imagination is the limit! Tile, Doors, and Accessories: We offer a wide variety of options that will leave no stone unturned as you discover just what you like best. Wheelchair Accessible: No walls to scale, no steps to climb – just roll right in! It really is that simple. Bath Solutions products offer a unique resolution to your bath a shower enclosure needs. Rather than fighting to keep tile grout clean and free of mildew stains, our solid, grout free surfaces are low maintenance. We install an acrylic tub surround once and you never have to seal or replace grout again. Our tub enclosures are guaranteed for the life of the home it’s installed in. With all the options to choose from for shower and tub surrounds, in fiberglass and acrylic, the decisions can be tough. Big home improvement stores offer prefabricated tub surrounds but don’t have a wide selection in colour or design. Five Star Bath Products come in a variety of colours and are customizable to fit your original tub or shower area perfectly. Our tub wall systems are non-porous which keeps mildew and mould from growing. The smooth surface makes cleaning faster and easier. Upon installation, we seal the tub surround using quad-lock technology. This process keeps shower water going down the walls and not behind them where it can do damage. The high quality of the materials means that your tub or shower enclosure will live up to our guarantee. The products are scratch resistant, fade resistant, and UV protected. This means your bathroom design will continue to look beautiful throughout the life of the bathroom. These bath wall systems look like real stone but without the special care requirements of actual stone. We offer surfaces that imitate the look of stone or ceramic tile, granite, marble, and more. Install a tub surround in the usual tub wall area, or completely encase the tub or shower from floor to ceiling in our solid acrylic surfaces. Bath Solutions tub enclosure technology will transform your bathroom beautifully. Our professional installation technicians can install your new tub or shower surround in as little as a day. We recognized the importance of having a properly functioning bath or shower area. That’s why we do the installation correct the first time. This way you can enjoy the luxury of your new tub or shower surround with the confidence that you don’t need to worry about doing that renovation again. We guarantee our work with a full warranty, giving you peace of mind. Call or contact us online today to discuss the best options with our expert Edmonton Bathroom Remodeling professionals. With our massive selection of bathroom pieces, you can choose accessories that reflect your personality and style. Our international network of local bathroom remodeling specialists can turn your bathroom into a serene paradise from the outside world. Whether you’re looking to add a walk-in bathtub, shower to tub conversion, or deluxe bathroom sinks, your local Bath Solutions of Edmonton team will get the job done right. Established in 1996, Bath Solutions’ top priority was to create an experienced, professional staff that would provide supreme customer service. 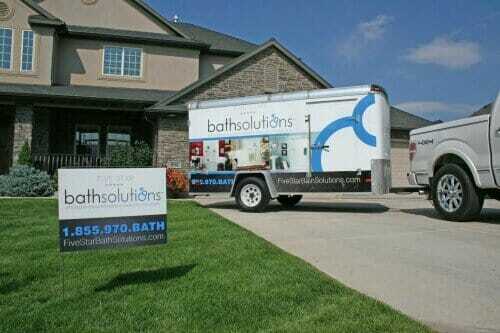 Several referrals are received every week by your local Bath Solutions team. Still not convinced? Well here are a few more benefits to using Bath Solutions of Edmonton for your next renovation project. We Will Be There Every Step of the Way: Our staff will hold your hand through the entire process starting from the estimate all the way down to the final tile. Contractors You Can Trust: You don’t want just anyone working in your home. We understand. That is why we make sure our contractors and craftsmen are fully qualified and fully background checked. Products You Can Trust: We ensure that only the highest grade materials and fittings will be used in your home. Fully Licensed and Insured: Don’t worry, you’re protected should any accident occur in your home. Give us a call or contact us online today to find out how we can help you with all of your bathroom renovations in Edmonton. Edmonton is the capital of the Canadian province of Alberta. The city is Canada’s fifth largest municipality, with a population of over one million. The native people here are referred to as Edmontonians. The city is located in the northernmost region of North America, and it is also known as the “Gateway to the North”. The vibrant city of Edmonton has 7 geographic sectors which are further divided into 375 neighborhoods. Downtown Edmonton is in the inner part of the city, which was built before 1970. Central Edmonton is made up of places like Boyle Street, Garneau, Central McDougall and the University of Alberta. Garneau and Oliver are the most popular neighborhoods with suburbs as well as highrise apartments. Edmonton also has larger residential neighborhoods. They include Heritage Valley, Terwillegar Heights, Kaskitayo, Riverbend and Windermere. 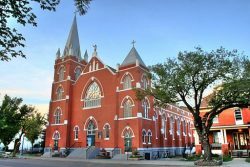 There are also many friendly neighborhoods in the northeastern and northwestern parts of Edmonton. Industrial districts and newly revitalized business zones in Edmonton act as an economic centre for all of Alberta. Edmonton is Canada’s sixth largest metropolitan city surrounded by 34 municipalities. Surrounding communities include Sherwood Park, St. Albert, Leduc, Spruce Grove and Fort Saskatchewan. Additional communities include Stony Plain, Beaumont, Morinville and Devon. Tourists with interest in art and music flock towards the Royal Alberta Museum and The Art Gallery of Alberta. There are also with independent galleries and diverse collections of aboriginal artifacts. Edmonton is also home to famous classical and jazz musicians. The Edmonton Symphony Orchestra performs regularly for music lovers. Edmonton also has sport teams representing Edmonton in national and international sport leagues. Edmonton Oilers are the most notable professional sports team. They have won five National Ice Hockey Championships. Edmonton Eskimos follow behind as the front runners in Canadian football. Other popular sport teams are the Edmonton Capitals, Edmonton Energy and FC Edmonton. Edmonton has also hosted a number of major championships. These events have included the 2001 World Championships in Athletics and the 2015 FIFA Women's World Cup. With a lot of attractive features, Edmonton remains a hot tourist spot. It is also an ideal place for setting your family roots down. Serving: We serve Edmonton, Spruce Grove, Sherwood Park, St Albert, Saskatchewan, and Leduc and all surrounding areas. “They double booked for an evalution and never had the courtesy to call me and try to rebook. Instead i wasted my day waiting for someone that was never going to show up. 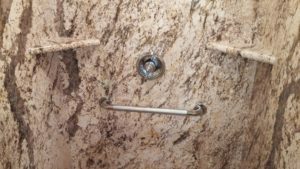 Having a hard time cleaning your shower space? Five Star Bath Solutions of Edmonton materials make your shower easy to clean and maintain, in addition to protecting your walls from water.